This may not come as a surprise to many of you, but overlanders are very rarely accused of being minimalists. We do love our stuff and can cram even the most sizable vehicles with hulking amounts of gear, some of it even occupying the overflow real-estate atop the roof. It is what it is, right? Our copious amounts of kit keep us safe, comfy, and well supplied for our protracted travels. It does however invariably create challenges for how to store all of that gear. 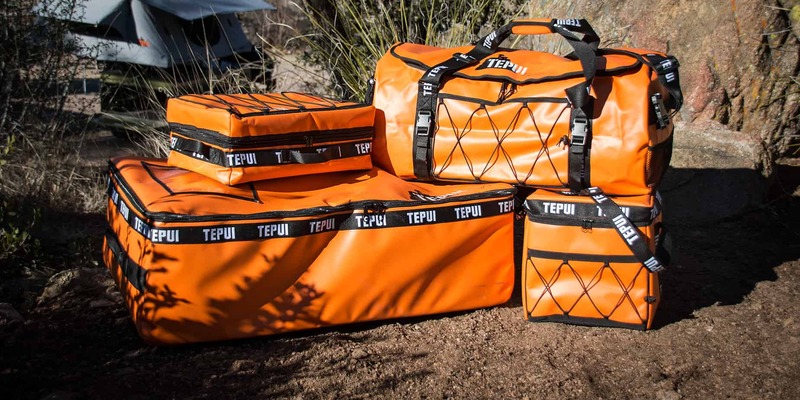 Tepui Tents, seeing the need to offer overlanders more variety and utility with storage solutions, recently launched a new line of soft bags. 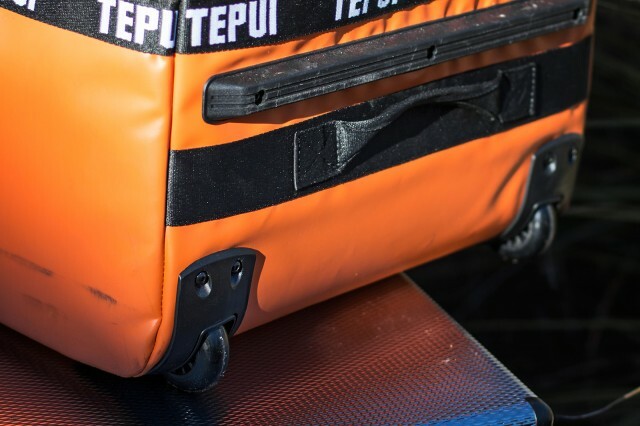 Available in four sizes, their Expedition Series bags are constructed of a synthetic resin coated polyester, effectively the same material used in the construction of many expedition-grade inflatable boats. 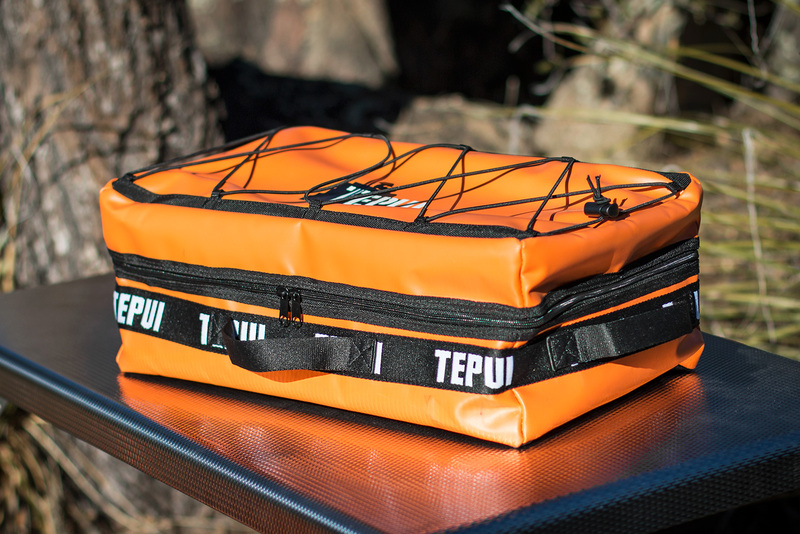 The large gauge zippers and heavily bar-tacked nylon webbing grab and shoulder straps speak to the brawn of these durable haulers, and even the orange color suggests they mean business. Some of our product tests happen with serendipitous timing, and our Tepui Expedition Bags arrived only days before I hit the road for the entire month of December. I am admittedly a chronic organizer, and after a quick review of the four bags, realized I had to reassess my gear selection. These are big bags, and I needed to find more stuff to put in them. 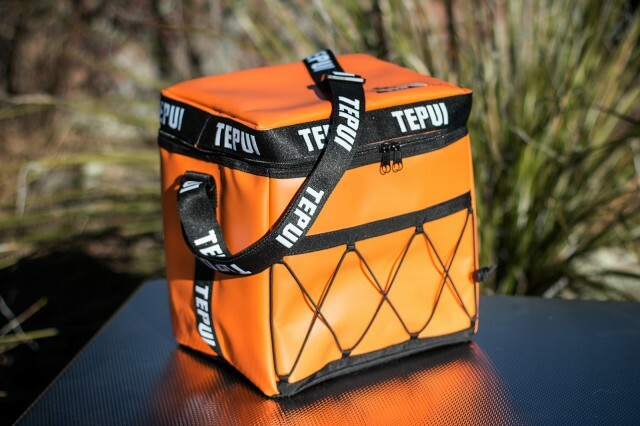 The smallest of the four bags is the Day Pack, a compact and padded cube ideally suited for storing food items, kitchen supplies, or perhaps a six pack of suds. 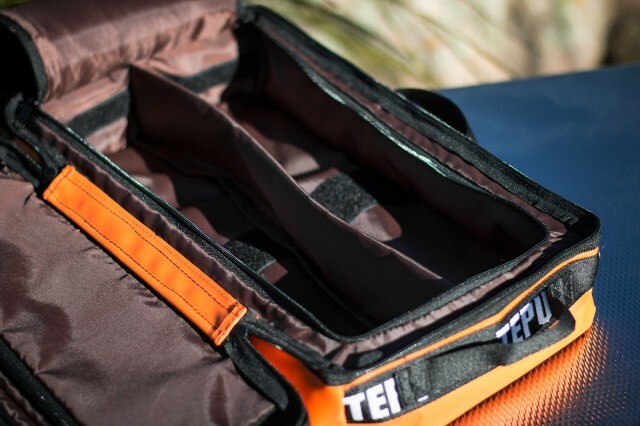 The shoulder strap makes for a comfortable carry and the cross-hatched elastic cord front makes for a nice place to stash wet towels and other essentials. Stepping up in size is the Tool Case. 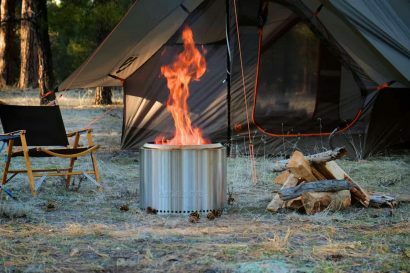 The long and shallow profile and clam-shell opening make it ideally suited for storing all of those camp accessories best kept close at hand. 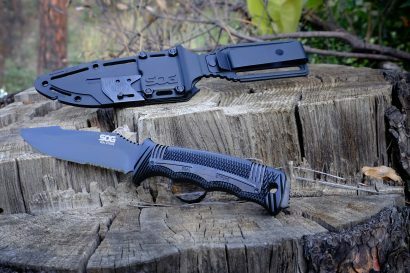 For me that includes my lamps and headlights, knives, toiletries and other things I might like to have isolated from the rest of my gear. 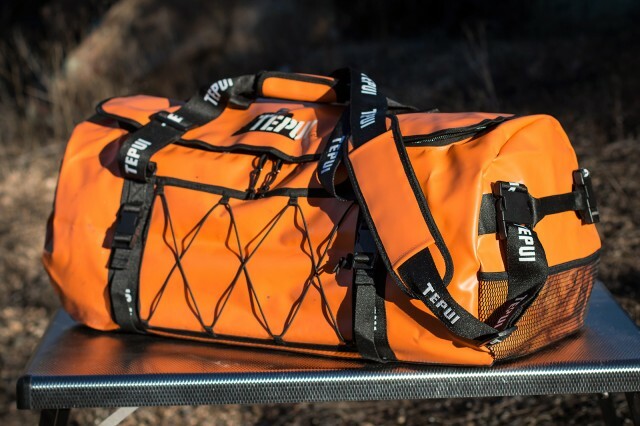 For hauling clothing, shoes, and other similar supplies, the Duffle offers roughy 60-liters of volume in a familiarly shaped bag that to me, is reminiscent of a Base Camp Duffle from The North Face. 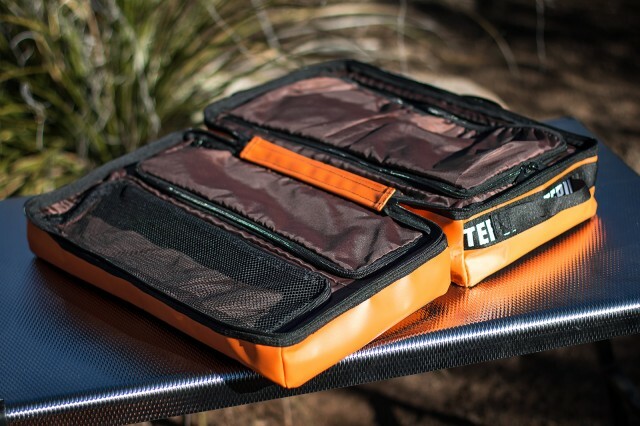 This is not a negative comparison as Base Camp bags are some of the best in the business. 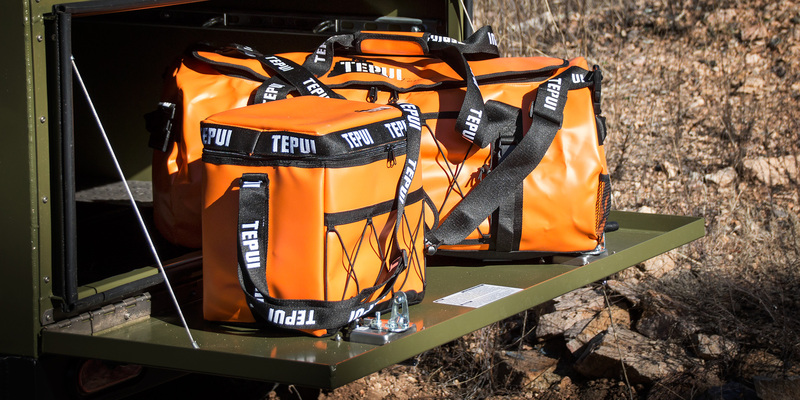 The Tepui Duffle has a padded shoulder strap, grab handles on either end, and a heavy-duty carry strap over the main compartment. Easy to load and unload through the large opening, the Expedition Duffle Bag is well designed and built for the rigors of overland travel. The biggest of the four, and my personal favorite, is the Gear Container. 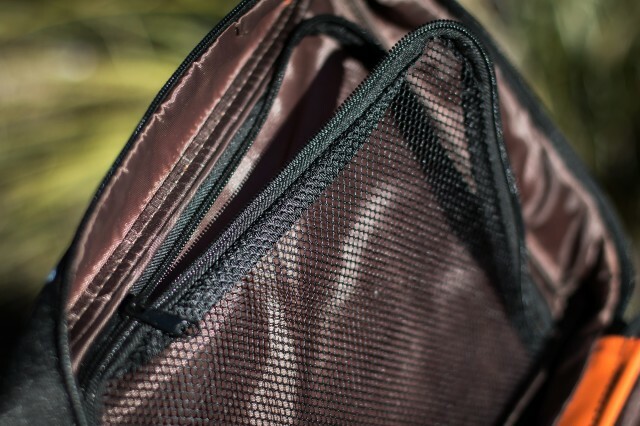 The most unique element to the Gear Container is the placement of the primary zipper which runs the perimeter of the bag right at the upper edge of the side walls creating a trunk-like opening. This gives unobstructed access to the main compartment. The vertical walls of the bag make loading and organizing my gear quick and easy, and the two wheels at the base of the bag make it a snap to transport, even on rough ground with heavy loads. I should point out, our test bags did not come with the additional grab handles now made available on current iterations of the Gear Container. Two heavy internal dividers help manage gear and pockets inside the lid keep key items close at hand. With 120 liters of storage capacity it swallows gear. In some of my travels, this is the only bag I needed. Although none of these bags are officially waterproof, I would consider them highly weather resistant, and depending on the climates you travel in, could do fine strapped to the outside of a vehicle. 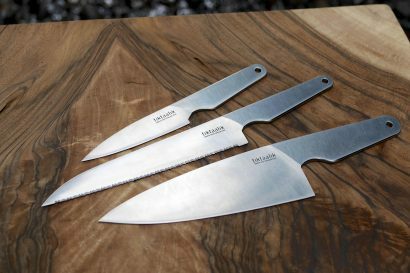 The materials and quality of construction are excellent and in my candid estimation, the prices represent a solid value. 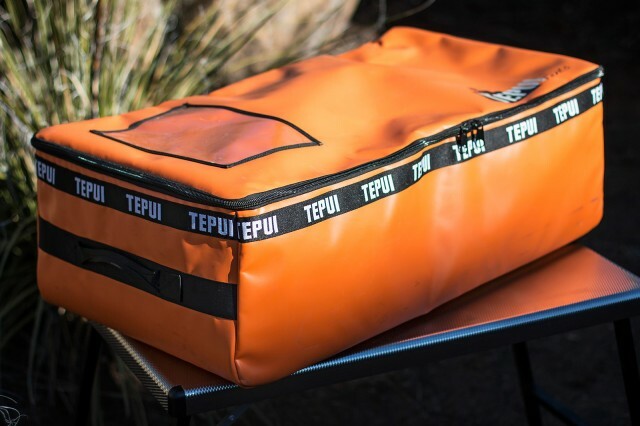 Tepui Tents has done a brave thing by entering this particular category of products, one with lots of fierce competition, but their Expedition Series of bags are an impressive first effort. I foresee these bags joining me on many adventures to come.